Girlfriend was active in Albuquerque from 1984 to 1988. 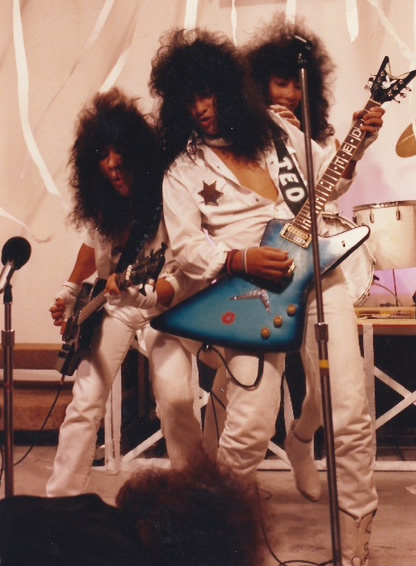 The band included Jet Jupiter-lead vocals and guitar, Teddy Heavens-guitar, Art Romeo-bass and Roni Michaels-drums. The band can best be remembered for having 2 top requested videos on the local music video program Teletrax. 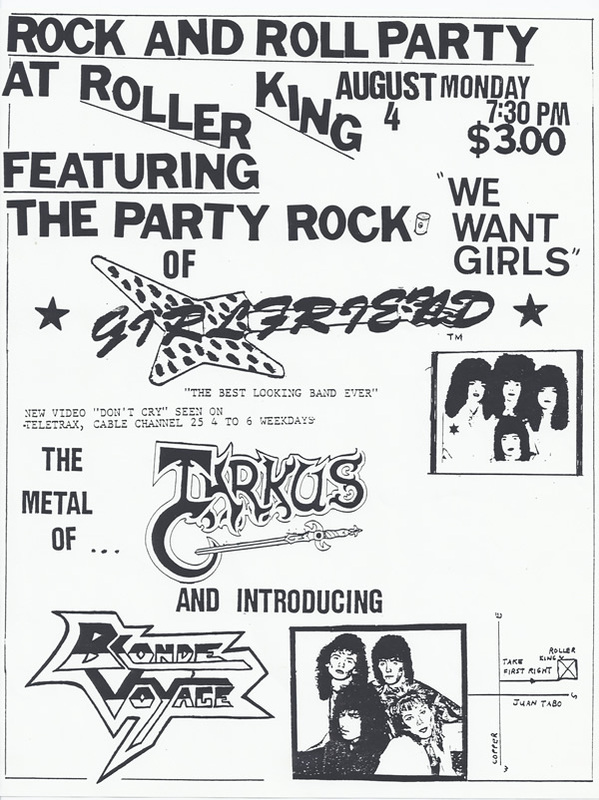 The videos, “You turn Me On Like A Radio” and “Don’t Cry” were highly requested, beating out the likes of Poison, Stryper, Sigue Sigue Sputnik and all the mainstream pop stuff of the time. Teletrax was an innovative call in request video program that was founded by Bob Bottomly on the local public access channel. Girlfriend made numerous appearances on the program live for interviews and specials, and also played a live show on the 25 Live music program on the same channel. 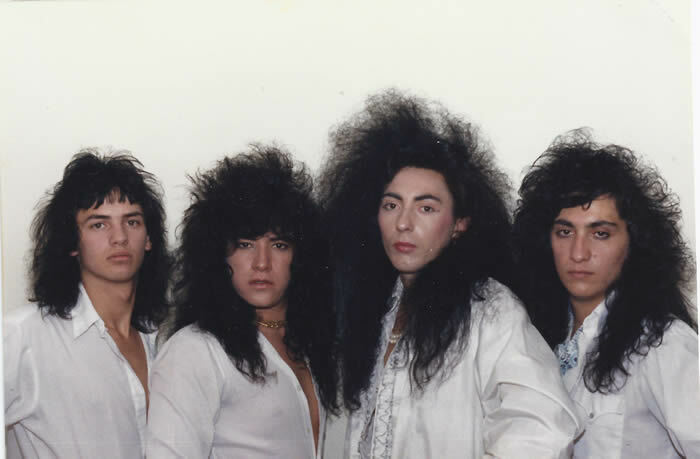 The band was best known for ushering in an over the top glam punk image and sound that was adjacent to Hanoi Rocks, Motley Crue, Angel, Kiss and Sigue Sigue Sputnik and unique for Albuquerque. The band garnered the attention of Producer Jonathan Daniels in Los Angeles, best known for his work with Mercury records band Candy and current big wig manager in NYC, who invited the band to Hollywood to record a series of demos and thus sealing the destiny of the band’s eventual move to the City of Angeles!! The band booked a series of self produced and self promoted shows with a mixture of local bands that were around at the time, such as Lightning Strikes, Rapture, Blonde Voyage and Tarkus, before finally making the move to Los Angeles in the summer of 1988.